More SX tickets coming your way! This week's tickets are for AMA Supercross at the Edward Jones Dome in St. Louis! 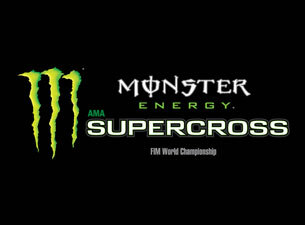 Two (2) tickets to the Monster Energy AMA Supercross at Edward Jones Dome, St. Louis, Missouri on Saturday, April 9, 2011. The tickets will be mailed to your provided address via USPS Priority Mail on Tuesday, April 5, 2011. Congratulations to AJ White, Fred Hansen and Chase Yocom for winning our free St Louis Supercross Tickets! I sent you an email with my information to help@ktm-parts.com since it wouldn't let me message you guys back on twitter. Thanks again this is awesome! Thanks Chase! These are going out to you today!